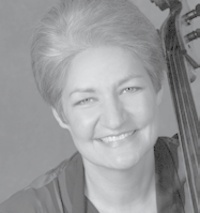 Cellist MARCY ROSEN has established herself as one of the most important and respected artists of our day. The Los Angeles Times has called her “one of the intimate art’s abiding treasures.” She has performed in recital and with orchestras throughout Canada, England, France, Japan, Italy, Switzerland, and all fifty of the United States. In recent seasons she has appeared on stage in Beijing and Shanghai, the Seoul Arts Center in Korea, and in Cartagena, Colombia. A consummate soloist, Ms. Rosen’s superb musicianship is enhanced by her many chamber music activities. She has collaborated with the world’s finest musicians, including Leon Fleisher, Richard Goode, Andras Schiff, Mitsuko Ushida, Peter Serkin, and Isaac Stern, among others, and with the Juilliard, Emerson, and Orion Quartets. She was a founding member of La Fenice, as well as the world-renowned Mendelssohn String Quartet. With the latter, she was Blodgett Artist-in-Residence at Harvard. Since first attending Marlboro in 1975, she has taken part in more than 20 “Musicians from Marlboro” tours and has performed in concerts celebrating the 40th, 50th, and 60th Anniversaries of the Festival. Her performances can be heard on recordings from the BIS, Bridge, Deutsche Grammophon, Sony Classical, CBS Masterworks, Musical Heritage Society, Phillips, Nonesuch, Pro Arte, and Koch labels, among others. A graduate of the Curtis Institute of Music, Ms. Rosen is currently Professor of Cello at the Aaron Copland School of Music at Queens College, serving as Artistic Coordinator of the Chamber Music Live concert series. She also serves on the faculty at the Mannes College of Music in New York City. His discography includes recordings for Sony Classical, Bridge, Vox, Musical eritage Society, ASV, and CRI. Mr. McDonald’s prizes include the Gold Medal at the Busoni International Piano Competition, the William Kapell International Competition, and the Deutsche Schallplatten Critics Award. He has studied with Theodore Rehl, Seymour Lipkin, Rudolf Serkin, Mieczyslaw Horszowski, Beveridge Webster, and Gary Graffman, and holds degrees from Lawrence University, The Curtis Institute of Music, The Juilliard School, and the Manhattan School of Music. 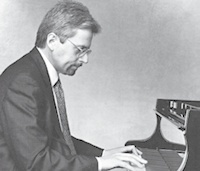 A member of the piano faculty at The Juilliard School since 1999, Mr. McDonald joined the faculty of the Curtis Institute of Music in 2007. 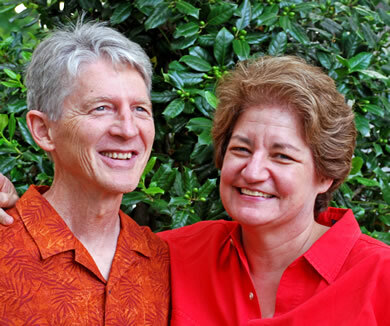 In addition to coaching piano at Taos School of Music, he is also the school’s artistic director. 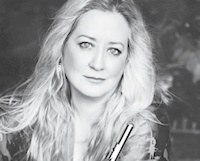 Ms. O’Connor is a member of the innovative woodwind quintet Windscape, a founding member of the 1995 Naumburg Awardwinning New Millennium Ensemble, and the flute soloist of the world-renowned Bach Aria Group, as well as an Artist of the Chamber Music Society of Lincoln Center. Ms. O’Connor recently premiered a new chamber work by John Zorn, gave her debut performance at the Mainly Mozart festival, performing a concerto with Windscape under Maestro David Atherton, and made appearances at a number of chamber music festivals. She also premiered Jonathan Berger’s new opera with the Saint Lawrence String Quartet in Stanford. Winner of a 2001 Avery Fisher Career Grant and a two-time Grammy nominee, Ms. O’Connor has recorded for Deutsche Grammophon and EMI Classics, among others. She was the first wind player to participate in the Chamber Music Society Two program for emerging artists. Ms. O’Connor received a Doctorate from the State University of New York at Stony Brook and currently teaches at the Bard College Conservatory and the Manhattan School of Music, and is professor of flute and head of the wind department at Purchase College Conservatory of Music. She holds a summer flute master class at the Banff Centre in Canada program. 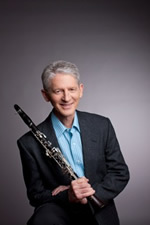 J. Lawrie Bloom has been heard in chamber, orchestral and concerto appearances on soprano, basset and bass clarinets. He began studying piano at the age of four and switched to clarinet at nine. He continued studies at the Columbus Boychoir School, and came under the clarinet guidance of Roger McKinney. He later studied with Anthony Gigliotti. In 1980, Sir Georg Solti invited Mr. Bloom to join the Chicago Symphony Orchestra on clarinet and solo bass clarinet. He previously held similar appointments with the Phoenix Symphony, the orchestra of the Lyric Opera of Chicago, Vancouver Symphony and Cincinnati Symphony. Cynthia Raim received critical accolades long before she appeared as soloist with leading orchestras in such major cities as Detroit, Minneapolis, Pittsburgh, New Orleans, Prague, Hamburg, Lausanne and Vienna. Before graduating in 1977 from the Curtis Institute of Music, where she studied with Rudolf Serkin and Mieczyslaw Horszowski, Ms. Raim won the Festorazzi Award for Most Promising Pianist at Curtis, as well as first prizes in the J.S. Bach International and Three Rivers National Piano Competition. Carmit Zori was established in her native Israel as an important young violinist when she was chosen at age thirteen by the American-Israel Cultural Foundation to perform on the international television special “Music from Jerusalem.” Two years later, at the recommendation of Alexander Schneider and Isaac Stern, she came to the United States to study at the Curtis Institute of Music, where her teachers included Ivan Galamian, Jaime Laredo, and Arnold Steinhardt. Since then Ms. Zori has appeared with orchestras including the New York Philharmonic, the Rochester Philharmonic and the Philadelphia Orchestra. Her numerous honors include the Leventritt Foundation award, top prize in the Waiter W. Naumburg International violin competition and the Pro Musicis Foundation Award. An active chamber musician, Ms. Zori appears regularly with the Chamber Music Society of Lincoln Center and for ten years was an artistic director at Bargemusic. 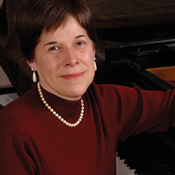 In 2002, she founded the Brooklyn Chamber Music Society. Ms. Zori is professor of violin at Rutgers University and at SUNY Purchase where she also serves on the chamber music faculty.